Intelligent Mechatronic Systems Inc. (IMS), a world leader in M2M and connected car technology, today announced a series of value-added services and advanced data analytics coming to its Usage Based Insurance (UBI) solution. 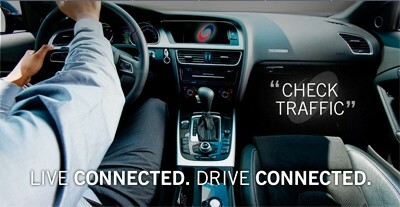 Offerings include context-aware roadside assistance, panic button, ‘green driving’ reports as well as theft recovery. An innovative new service, context-aware roadside assistance, for instance, is designed for drivers who need immediate roadside help. Using intelligent driver and vehicle data, including hard braking, GPS, airbag deployment and vehicle diagnostics, the appropriate emergency and/or roadside assistance can be dispatched and more prepared in the event of an accident or vehicle failure. IMS is also announcing Advanced Data Analytics designed to give insurers a more complete picture of driving behavior. Leveraging behavioral data collected and analyzed through the company’s DriveSync platform, insurance companies are able to get a complete overview of driver activities to assess risk levels. The analytics service can provide information as precise as a driver’s rolling stops, speeding, time of day, and miles driven and even different driving behaviors within a multi-driver household. This enhanced understanding of customer driving behavior can be used to transform traditional billing methods and result in better and more accurate insurance coverage packages for customers. The company is also announcing a mobile gateway solution for usage-based insurance that leverages a driver’s smartphone to communicate driver and vehicle data without the need for a separate data plan. Further to reducing costs for insurance companies policyholders will have access to driver and vehicle-relevant data and services directly through their smartphone. DriveSync is a technology with a proven track record in delivering Pay-As-You-Drive programs for international insurance companies. Unique in the marketplace, DriveSync provides an end to end solution for insurance companies wishing to implement Pay-As-You-Drive programs. IMS manages all aspects of driving data collected by DriveSync, including storage, consolidation and reporting using fraud-prevention technology and data encryption to ensure the confidentiality of customer information. IMS also provides ongoing support for customers participating in the DriveSync programs. A pioneer in connected car technology, Intelligent Mechatronic Systems Inc. (IMS) is dedicated to developing and commercializing real, connected car solutions. The company’s innovative technology includes iLane™, an award-winning human machine interface for in-car media, messaging and location based services as well as DriveSync®, a M2M platform that powers usage-based insurance, road tolling and fleet programs globally. IMS’ unique approach uses secure over-the-air and in-car technology that allows drivers to access on-demand content from the cloud such as real-time traffic, weather and music as well as local content including emails, text messages and smart telephony apps from their smartphone. IMS is based in Waterloo, Ontario, Canada. For more information about IMS, please visit www.Intellimec.com.